Singer Britney Spears has been cleared of child abuse allegations. 'Flores is an opportunist,' a family source said. Jennifer Aniston has been granted a restraining order against a man who was on a ''delusional mission'' to locate and marry her. Jason Peyton, 24, was arrested earlier this month after he was found lying in wait at a location he thought the actress frequented but in fact has never been to, Aniston's publicist said. His car was also carved with large messages reading, "I love Jennifer Aniston". Peyton is described as an "obsessed, mentally ill and delusional stalker with a history of violence and criminal stalking" in the documents, reports Sky News. He is also said to have driven his car cross-country in his "delusional mission" to locate and marry Aniston with "whom he believes he is in a relationship". Peyton has been ordered to stay 100 yards away from the home, work and vehicles of the former Friends star. Lindsay Lohan will reportedly serve only 14 days of her 90-day jail sentence. According to police documents, Lohan will only serve 14 days due to prison overcrowding, reported The Los Angeles Times. In a short hearing Tuesday, judge Marsha Revel forbade Lohan from being released early under a work release or electronic monitoring program, reports the New York Post. The actress' inmate information form on the Los Angeles County Sheriff's Department website still listed a projected release date of September 9, 2010. Image: Lindsay Lohan poses for her booking mugshot at the Lynwood Correctional Facility in Lynwood, California on Tuesday. 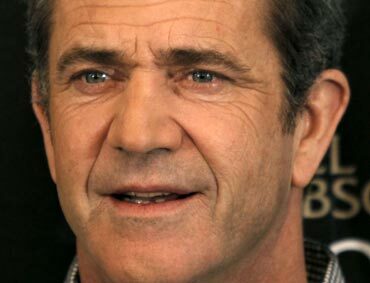 In an explosive new tape, Mel Gibson's ex-girlfriend Oksana Grigorieva has claimed that the actor assaulted her and their daughter Lucia in a fit of rage. However, some audio experts have defended Gibson's act by suggesting that the tapes may have been doctored, reports the Sun. Gibson's friends have also revealed that the actor is undergoing therapy in the aftermath of his disastrous relationship with Grigorieva. Tom Cruise and wife Katie Holmes are considering appearing on a reality TV reality show to prove that their family is "normal". 'They want to portray themselves as a normal family who do normal things,' News.com.au quoted a source as telling Britain's Grazia magazine. 'They are aware that Katie is being perceived as ''brainwashed'' and they want to change that,' the source added. However, Cruise has insisted that he will have complete control of the footage and the final say on what is aired.